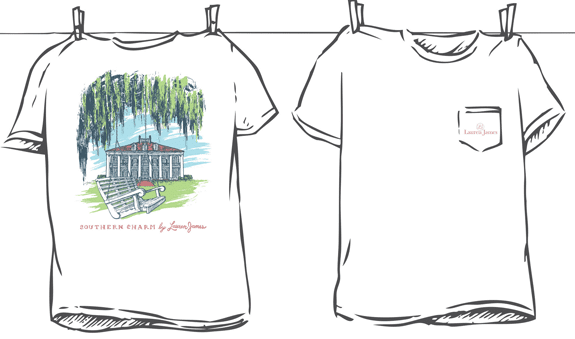 Sometimes, a girl just needs a few good t-shirts in her drawers, but unfortunately as you get older, the tried and true sorority & college tees tend to get a little faded, a little pilly, and let's face it, a little snug. Luckily, there are ladies like Lauren Stokes designing comfy clothes for those of us a bit past the college years who still like to look cute while comfy. 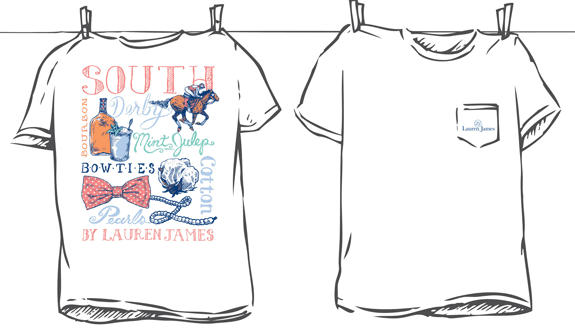 Lauren's company, Lauren James, provides adorable tee-shirts fit for any southern peach. 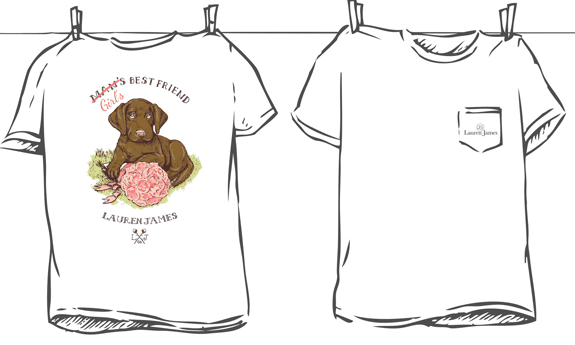 I'm especially smitten by The South tee (bottom), but I totally agree that puppies really are a girl's best friend. Lauren James also sells sweet seersucker running shorts (called shorties) in a variety of colors. Which of these tees or shorts might find their way into your closet? P.S. A very happy birthday to my friend, Erin! A St. Patrick's baby through and through!